Many founders of IT companies believe that it is the innovation of their products that sells their offerings and that they don’t need branding and marketing. However, this theory falls flat when another competitor comes in with the same offer or when the market turns towards a new “shiny object”. Because that is exactly what continuously happens in the technology world – fast changes and constant innovations. Do you even remember BlackBerry mobile phones or the AltaVista internet search engine? Probably not – and no wonder you’ve forgotten them, since they’ve long been surpassed by iPhones Google and others, who offer newer, more advanced, and more customer-centric technology. So, how does one develop a steady business in the IT industry that won’t vanish from the face of the Earth in just a few years? And what does that have to do with branding? Lots! A good branding process creates an emotional connection with customers, who develop loyalty; not so much to current products but more to the IT company and the ideas it represents. Customers remain loyal to companies that have a strong brand identity and they trust them even when they have to adjust their products and services to respond to various market changes. But apart from developing customer relationships, branding also helps with several other elements that are key for the survival of IT companies: differentiation and adding a human component to their technology. 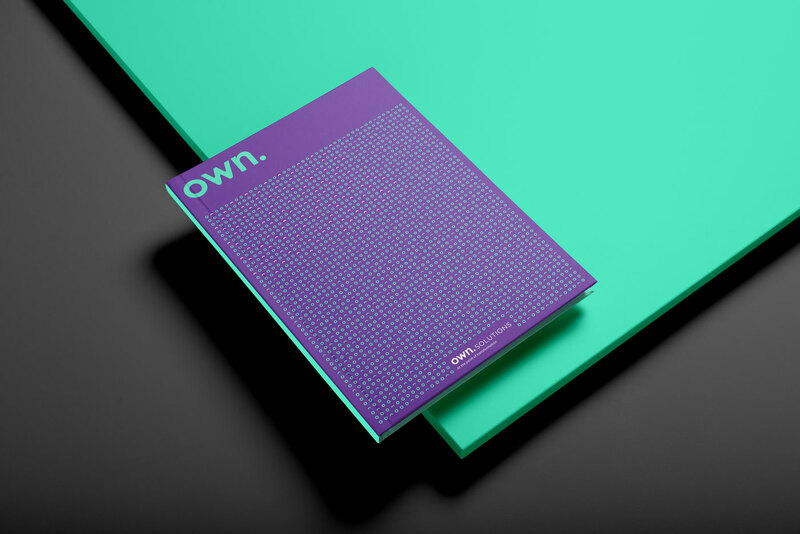 Let’s look at the example of a new IT company on the European FinTech (Financial Technology) scene, for which we’ve created a new visual identity: Own.Solutions. Own.Solutions is a new company with two offices (one in Rijeka, Croatia, and another in Dublin, Ireland), which was born out of the European division of an international corporation known as Afterpay Touch Group. What Own.Solutions has developed is a platform for financial software product and service development that will be installed in tens of thousands of convenience stores. The company’s strategy is to develop an entire digital market that would bridge the gap between consumers in the physical world and digital economy players, by combining their 20,000 stores across Europe with more than 50 partnering, IT companies that provide e-services. Definitely, a very complex concept “at first”, and our task was to transform it into a simple and clear visual identity for an emerging company entering a highly congested financial technology market. In order to get to the core of the company’s values, we created an Own.Solutions’ brand strategy, serving as a platform for all future communication. 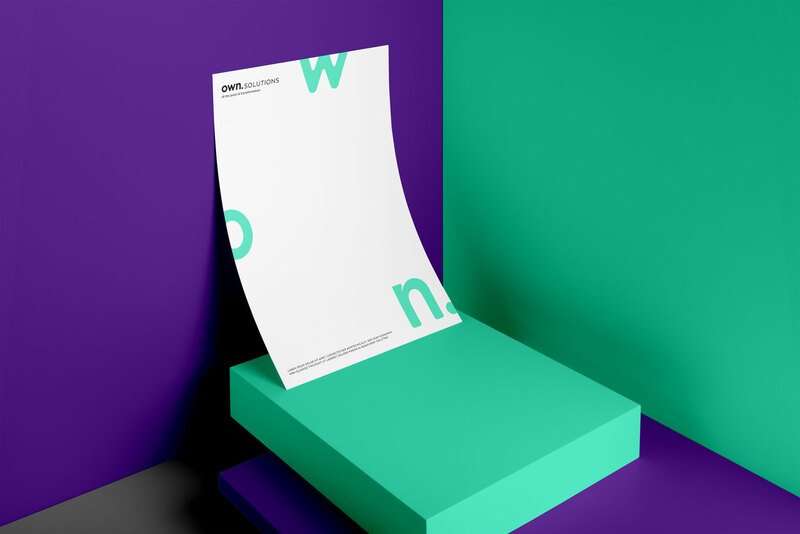 We identified the target group, brand positioning, brand voice and language style, created the company slogan, and added a deeper meaning through the definition of brand experience and brand personality. In the process of identifying the target group, we created several buyer personas for Own.Solutions, naming each one of them to provide a more illustrative understanding of potential users. First, there was 45-year-old Ted from Zurich, an experienced retail manager interested in reducing costs, increasing sales, and looking for new partners and solutions that will help his company grow. Then, we created Marco from Hamburg; an ambitious business development manager who seeks out new ideas, services and products that will bring positive changes for retailers, and that will help him to impress his superiors. Finally, the world of digital product owners was illustrated through the profile of young entrepreneur Lucy Liu from Singapore, who develops computer games and is actively searching for new markets. What was important to communicate towards these potential buyers is the expected brand experience, promising safe, simple, and easy money transactions that enable conversions of physical money into digital currencies – and the other way around. In order to create that sense of trust – which is crucial in the financial world – we created a brand personality, which meant painting Own.Solutions into a vivid character. In our fun workshop, where we always include the clients, we came to a conclusion that Own.Solutions should be illustrated as a smart person, who accepts innovative ideas and products, has the courage to make new business moves, but, at the same time, is wise enough to respect the lasting values that the experience brings. This brand character was embedded through the design of the company logo, simply using typography, similar to many modern companies in the IT world. The symbolism of the point, which is also contained in the name of the company, has inspired the creation of the circle and the arc, symbolizing the bridge and the idea of connecting the digital and real world. Also, the arc and point, alternating in a dense structure, allude to a digital, binary system, which will be used as background or texture for different marketing collateral assets. 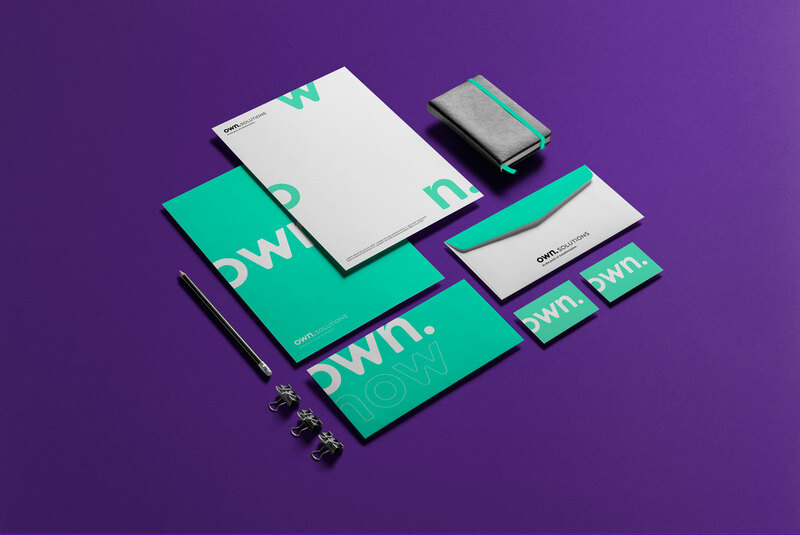 The chosen colours stand out from the typical blue and grey tones of the financial world: fresh green symbolises new ideas, while the wise purple “grounds” the entire visual identity. To match the created visual identity, we have chosen a brand voice and language style that is friendly and relaxed, but at the same time professional and educated. It was important that the brand voice reflect the feeling of trust and the reliable partner that prospects can count on, but who is also clever and not afraid to try new concepts. 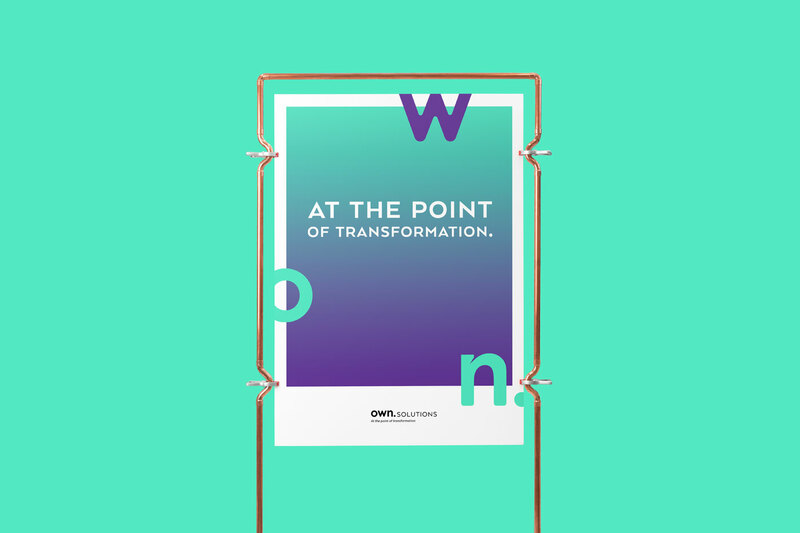 The selected company slogan is: “At the point of transformation”. • The dot in the company’s name. 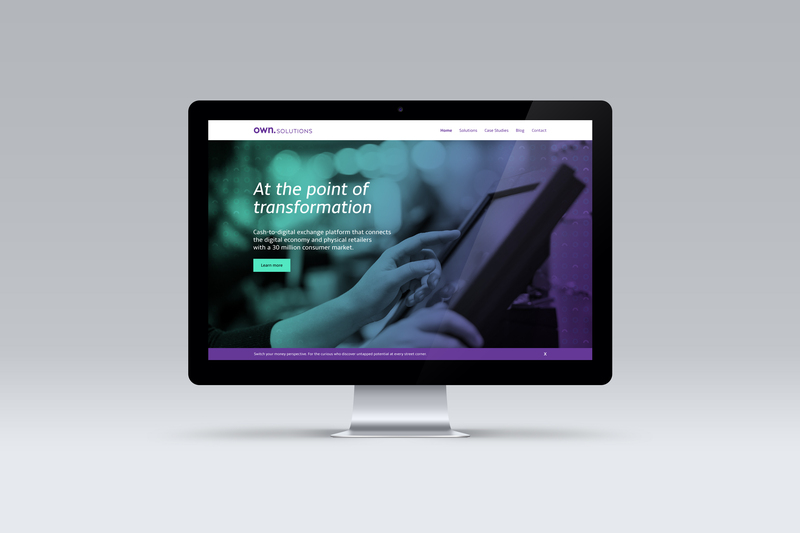 The word “transformation” was implemented to symbolically showcase the change that should take place in the retail sector to survive in the world of upcoming digital challenges. Also, the word has an echo of the popular, albeit somewhat exaggerated, “digital transformation” phrase, so commonly used in the entire business world. 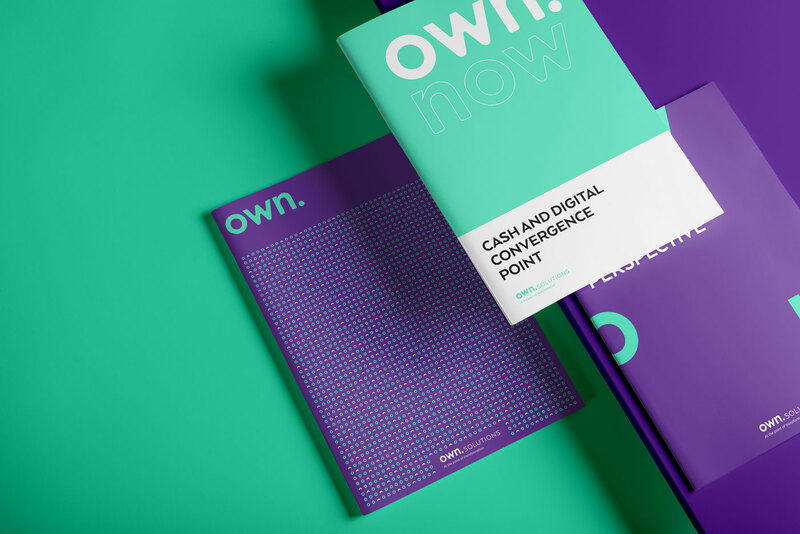 The result of creating a brand strategy for Own.Solutions was the development of a fresh and modern visual identity that sets the company apart from other, slightly distant and up-tight brands, typical in the FinTech space. The brand logo and its implementation throughout corporate materials, internal documents, presentations for investors, and the website, provides the desired brand experience of an inviting technology that sparks curiosity. Those were exactly the main objectives of Own.Solutions’ platform and the whole ecosystem it builds.